Hi, everyone. Happy Chinese New Year in advance to all. Busy month with preparations, shopping etc for Chinese New Year and to add to it, my son down with flu bug at same time. Hope he recover as soon as possible especially when Chinese New Year is just 3 days away!!! This month at Off The Rails Scrapbooking, we have a lovely mood board!! Gosh!! I love the colors!!! It just reminded me of freedom and travel somehow. And our sponsor this month is Pam Kuhn from Kazazz. She will be giving the February winner a $25.00 voucher, with free postage to anywhere in Australia, you can spend up with Kazazz. One of my dreams is to lead a simple, carefree life travelling light (aka no burden of finances, career, family etc) around the world(or in countries that I love like Korea and parts of Europe). It seems so impossible to achieve nowadays. Especially about the no burden part. Well, its still my dream. And I also dream of cycling around on a shabby teal or pink bicycle, exploring places that tourists won't go (meaning areas where you find the locals). I think this is the more difficult part of my dream: I can't cycle. LOL!! Got to learn and oh boy.... my dad gave up teaching me.. LOL LOL. 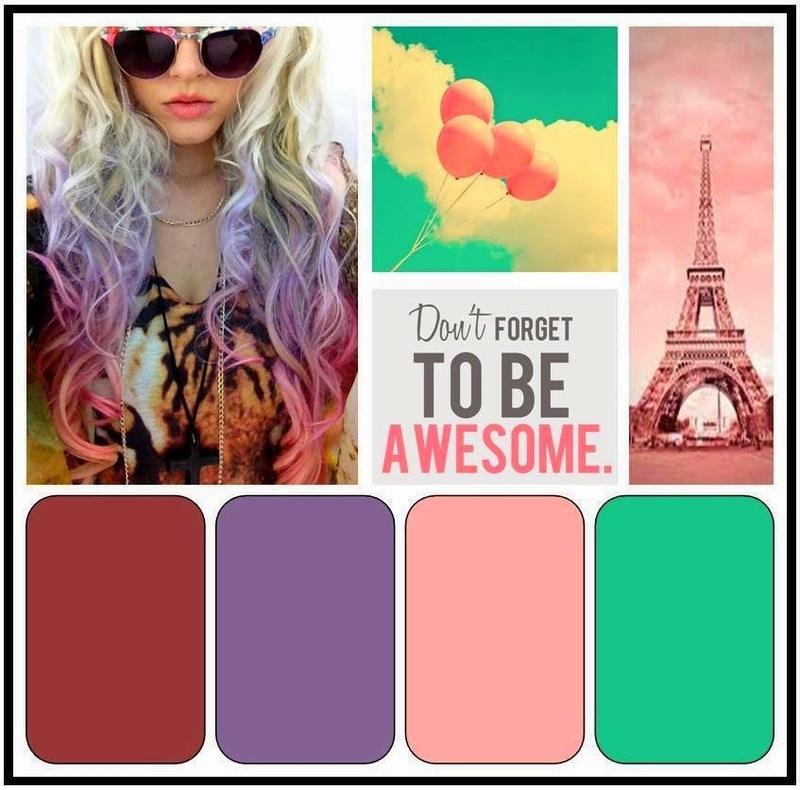 So when I see this mood board, it just reminded me of this dream. And I got to make a mixed media canvas depicting this dream. I applied gesso randomly across page, spread texture paste over a bricks stencil and added teal acrylic paint randomly with palette knife. Then I added some mists and green acrylic paint randomly. Stamped parts of canvas before adding the diecuts, mesh, the picture cards and the embellishments. End with adding some watercolor splatters across page. I love these picture cards from Typo. Added the titles rubons before inking the sides. I also added some gesso on the edges of the flowers and metal charms. I hope you enjoy my project. Do hop over here to see what my fellow team members had created and join in our February challenge. Have fun.